Around the world, news organizations are being caught in a perilous pincer movement. On the one hand, many consumers are now ebbing away from classical news outlets, instead getting their information through social platforms. On the other, advertisers are following suit – alarmed at either the consumer migration or the increasingly downbeat tenor of news stories in 2019, or both. You may not expect an ad agency boss to give two hoots about news publishers – but John Montgomery thinks the problem is grave and existential. 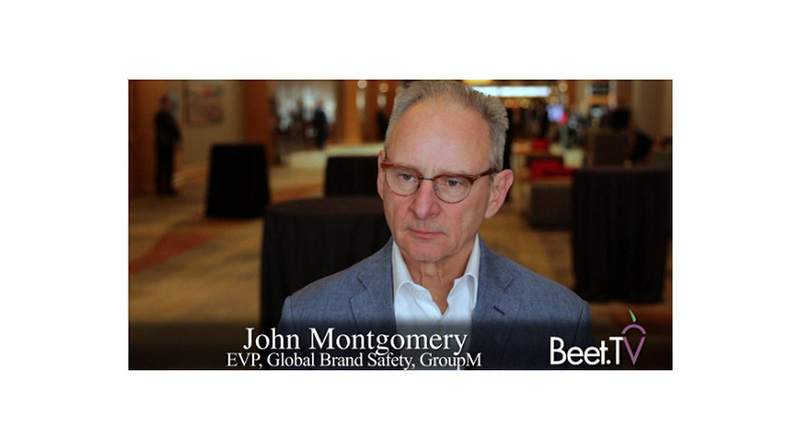 “News organizations aren’t getting the revenue that they deserve because … marketers have been worried about adjacency to risky content,” says GroupM’s global brand safety EVP, in this video interview with Beet.TV. Please watch his full interview with Beet.TV here.